Server: RasbPi running LibreELEC (just for TVH) with external 500GB HDD, USB hub, and HDHomerun Quatro tuner. In a 3D-printed toast-rack with fan. Client: Intel i3 NUC running Windows 10. DVD drive and wireless KB and multi-button Logitech gaming mouse. 55" Sammy TV and soundbar, driven at 4K via HDMI. 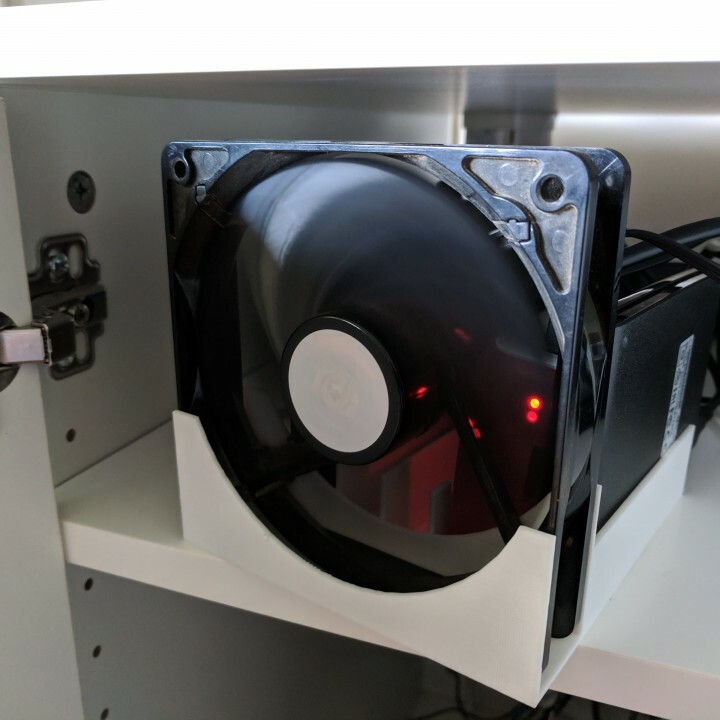 If you had a fan at the other end, you could have cool air going in, and hot air to push out thereby keeping them even cooler!! Everything runs cool with the one fan plugged into a spare USB port on the hub. And I can't hear a thing. Previously the Pi CPU was pretty warm, and the HDHomerun tuner too - although that was helped a bit by a firmware upgrade. I'm really envious of these small 'racks' I see on here, as I know that if I built from scratch, I would have everything running by Pi only!!! Love the way it keeps everything in one place, unlike mine, where I have the HDHomerun no-where near the ariel connection, and hidden under the Hi-Fi! Now I really really want a 3d printer!!! (2018-12-18, 16:06)tjay260476 Wrote: I'm really envious of these small 'racks' I see on here, as I know that if I built from scratch, I would have everything running by Pi only!!! Right. Actually, racks are already available as more-or-less prefab. So, there you have it; a miniature rack.